I HEART Pinterest. In the few months since joining the site, I’ve amassed 753 pins on 22 boards – and still manage to somehow have a life around it. The latest buzz amongst social media types involves how brands can take advantage of this new source. So should you hop on Pinterest? Before you come aboard, take a step back and make sure it works with your brand – and the audience you want to reach. Are the ready to embrace the feminine? I don’t like stereotypes, but I recently saw this quote: “Men are from Google+, Women are from Pinterest” – and that’s getting it pretty close. Econsultancy looked into the demographics of Pinterest to discover that Pinterest users are largely female and young (between 25-44). Would your brand benefit from reaching out to women? Pinterest isn’t one for conversation. It’s all about the visual. Pinterest is a feast for the eyes. If you can’t find a way to make it visual, then it doesn’t make sense for your brand to be there. So who can make it work on Pinterest? Pinterest is better suited for consumer marketing than B2B, where relationships matter so much more. Martha Stewart has amassed almost 19,000 followers, with pins focusing on food, crafts and DIY projects. Boston jeweler Gemvara is a good fit for Pinterest – the company decided to join after noticing that their customers were already posting pictures of their products. Even the U.S. Army seems to have found a way to represent themselves on Pinterest, using both historical and current photos to show the Army “then and now” – with pins for patriotic recipes and crafts thrown in as well. 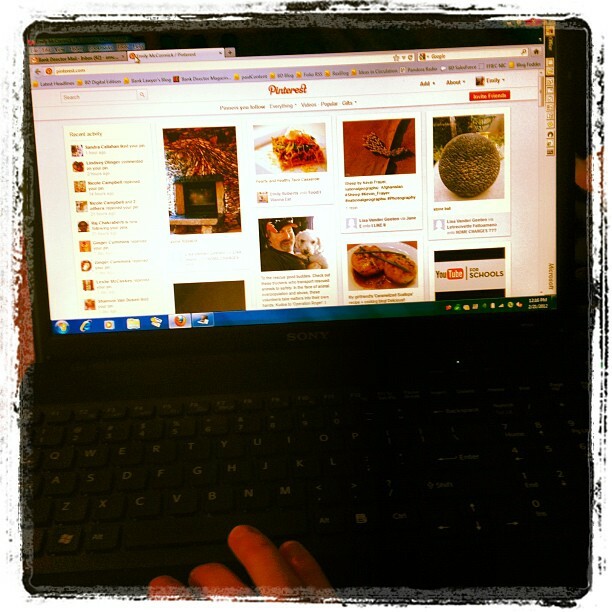 Is your company using Pinterest in an interesting way? I’d love to hear from you in the comments. Are you a banker interested in social media? Read “Social Anxiety” from last summer’s issue of Bank Director.